100% Organic. 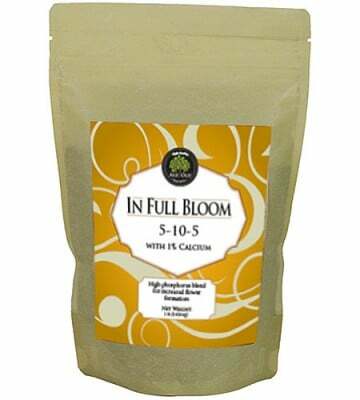 Age Old In Full-Bloom Fertilizer is a fast-acting, high phosphorus combination. 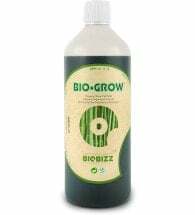 Use to encourage better fruit set, improve germination rates, help flower and bud formation, and overcome stress caused by natural or chemical damage. Ingredients include volcanic rock dust, meat and bone meal, composted poultry manure, blood meal and bone meal. Note: Age Old In Full-Bloom is designed and blended to build and sustain the beneficial soil micro-organism population that is necessary for healthy and robust plant growth. Seed Germination & Transplant: Add to soil mixes at a rate of 1/2 pound per cubic foot or 1 Tbsp per gallon pot. Soil Preparation & Row Transplant: Apply 2 to 3 pounds per 100 square feet. Work into soil. Gardens: For transplants, apply at a rate of 1 to 3 pounds per 100 feet or 1 ounce (2 Tbsp) per plant. For soils with low phosphorus, spread 5 to 10 pounds per 100 square feet and work into top 3 to 6 inches of soil. 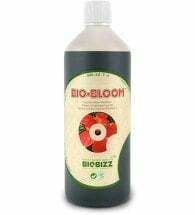 Additional Treatments: Following germination and the formation of 4 true leaves, foliar feed with Age Old Liquid Bloom every 7 to 10 days through bloom and fruit set. 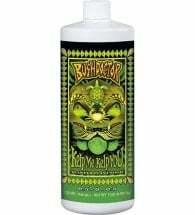 For fruit filling stages, foliar feed with Age Old Liquid Grow.